Rotterdam, The Netherlands—The city of Tirana and an international jury announced MVRDV winner of the competition for the urban masterplan creating a new dense urban neighborhood with a park and public facilities at the shore of Tirana Lake, in the south of the Albanian capital. Tirana Lake is one of the highly valuable green areas of the city. The project foresees the regeneration of a 20ha site on the north shore of the lake by creating a dense urban neighborhood liberating space for a park, recreational facilities, new public spaces and ecologic interventions. 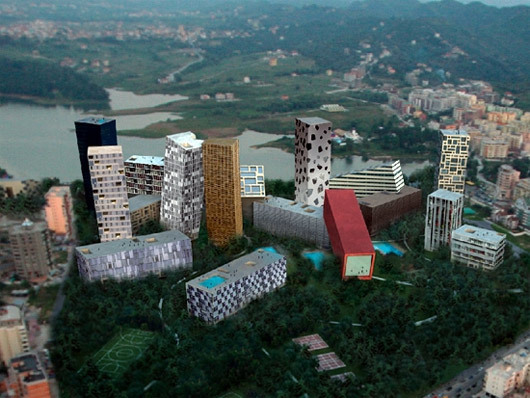 The cantilevered and leaning buildings allow for a great variety of apartment types, shopping and offices and â€˜echoâ€™ the Tirana typology. The stacked and twisted volumes create spectacular public spaces and provide dramatic vistas. Clad in local stones the buildings turn into a series of â€˜rocksâ€™, the â€˜Tirana Rocksâ€™. 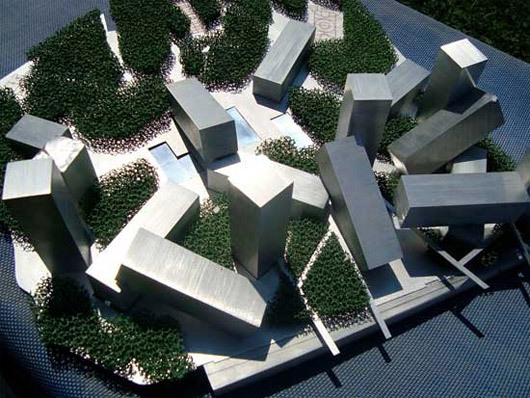 Dense clustering of the program on the lake side allows the site to become part of the chain of parks surrounding the lake. Planting a park of Jacaranda trees will add a new characteristic element to the area and provide natural shade; the treeâ€™s long lasting blue flowers will appear as a â€˜blue cloudâ€™. 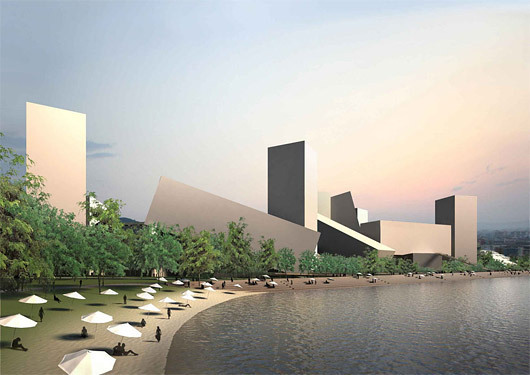 A promenade along the water creates an active social zone that contributes to the idea of a â€˜Copa Tiranaâ€™. Edi Rama, the mayor of Tirana who received the 2004 World Mayor Award presented the winning scheme on national television. The masterplan consists of 225.000m2 housing, 60.000m2 offices, 20.000m2 public buildings, 60.000m2 retail, a hotel of 15.000m2 and 20.000m2 sport and recreational facilities and a car park. 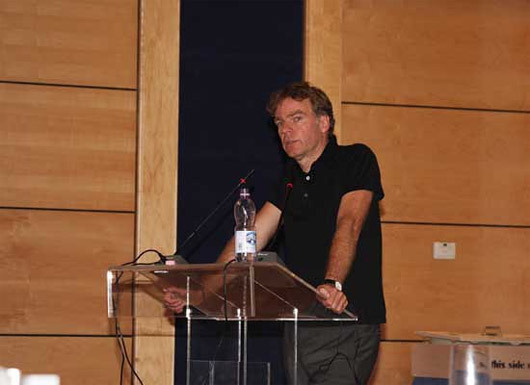 Start construction is envisioned for 2010, the total estimated investment is 600 million Euro. The client is a group of Albanian private developers; the project is managed by Ambito Project Management, Madrid, Spain. 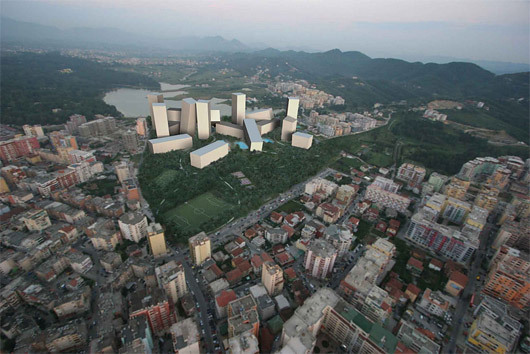 MVRDV won the competition from among others Bolles + Wilson, David Chipperfield Architects and Carlos Ferrater.